After seeing that I started to get anxious; not just for myself but for him also. That’s when I heard a voice that said, “Don’t be afraid. 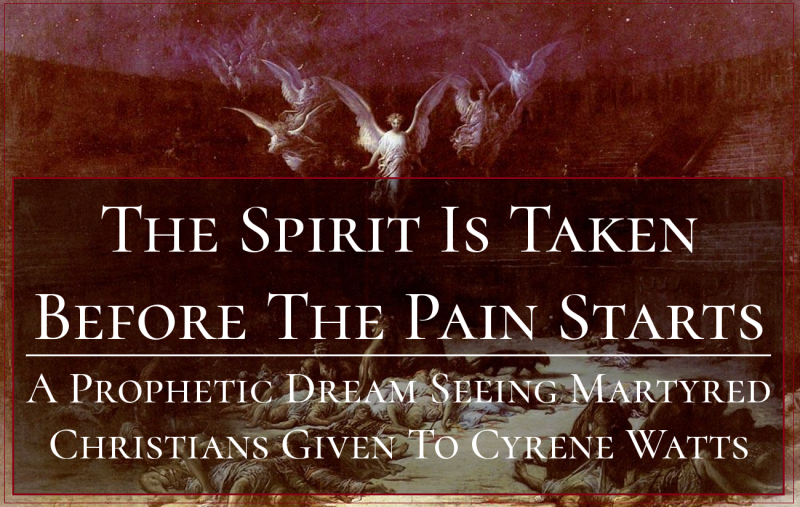 The angels will come and take you before you feel a thing.” That’s when I looked back at the man, and the same voice said, “He’s not going to feel it.” Just then I saw angels come and take his spirit from his body as the blades came down upon him. Somehow I knew I was next to be killed the same way he had been, yet I remembered the words that were spoken to me. I looked toward the hillside and saw the Lion of Jesus Christ upon it. He wasn’t sitting or lying down, but standing still on all fours. It was as if He were waiting for me. Before I knew it, I too was dismembered and bleeding out, but I never felt the pain. Immediately afterwards the other lion (Satan), came and started dragging me by the foot of my right leg, and that’s when I woke up. It was important that I share this with you, so that you will not be afraid of death, and so that you will be prepared to be a martyr for Jesus Christ, should it come your turn to die for what you believe in! 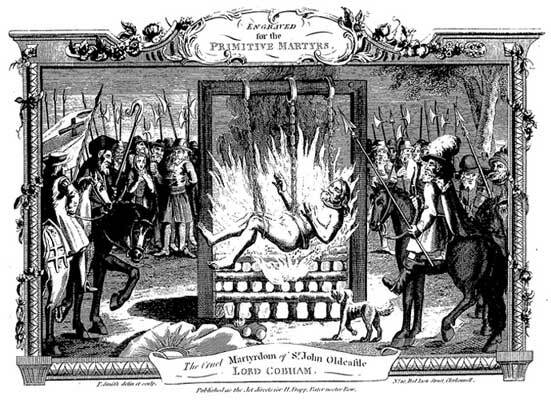 Cruel burning of Sir John Oldcastle from Foxe’s Book of Christian Martyrs. 3 Types Of Believers- Where Do You Place Yourself?